Ready for some fun in the sun? Whether you plan to lounge in the sand with a sizzling summer read or rollick in the water for a splashy cool-down, a fabulous beach hat is a must for every woman. But there are a few important things to consider other than how cute your beach hat is going to look on you — namely, the brim size, the fabric, how easily it can be packed, and whether or not you can adjust the fit. Read on for your beach hat checklist, then get ready to shop the best beach hats for women, including the hottest wide-brim styles, floppy hats, and embellished headpieces. The best beach hats have wide brims of 3 inches or more. Far better than a basic baseball cap or sun visor that only shields your eyes and parts of your face, a wide-brim hat offers sun protection for your ears and neck as well — areas that are often overlooked, but just as important to protect. 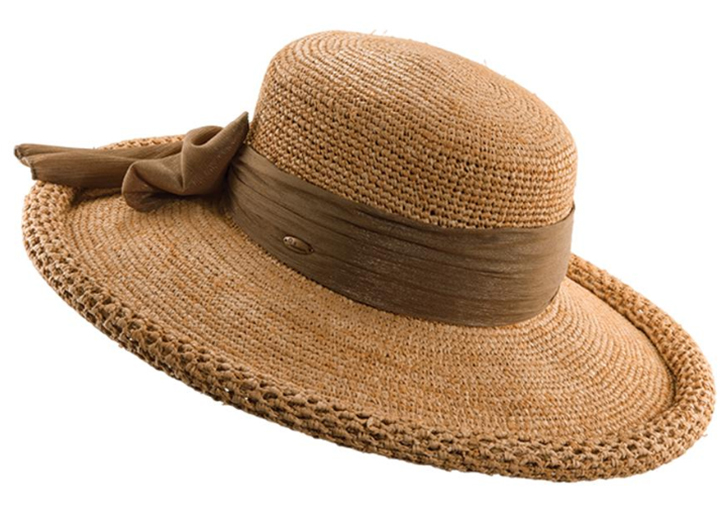 Straw hats and those made from other natural fibers including cotton and linen make ideal summer hats because they are lightweight, breathable, and typically crushable. A packable sun hat is one that you can throw in your beach bag and not worry about ruining its shape. You should also look for hats that have a UPF50 rating, which means the fabric itself offers additional sun protection from harmful UV rays. 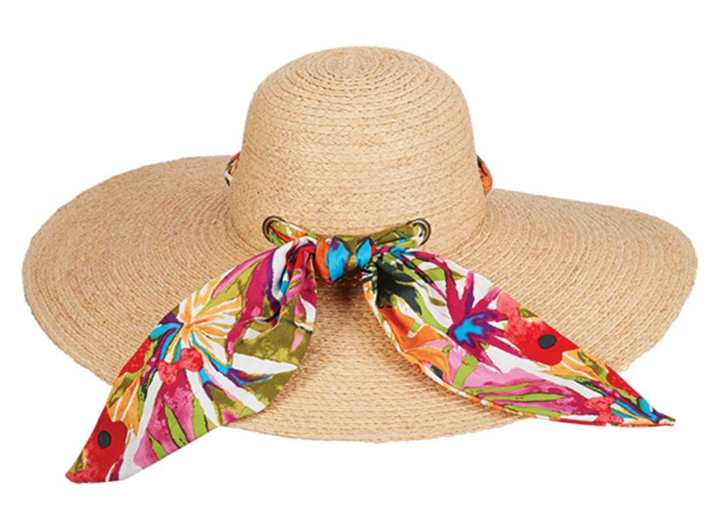 Big brims are ideal when it comes to beach-time fun. Get the most coverage with these wide brim sun hats that are as stylish as they are sensible. Want more? Browse our full selection of womens wide brim hats. Classic, chic, confident: Brisbane by Brooklyn is that special kind of beach straw hat that will never go out of style. Made in the United States of handwoven Ecuadorian straw, this fine Panama hat with its clean lines and simple black grosgrain trim has no need for added embellishment. Even better, the 4 1/2-inch brim promises a lifetime of style under the sun. This straw boater hat is for the beachgoer who appreciates understated elegance, even when trudging through the sand in a bikini. 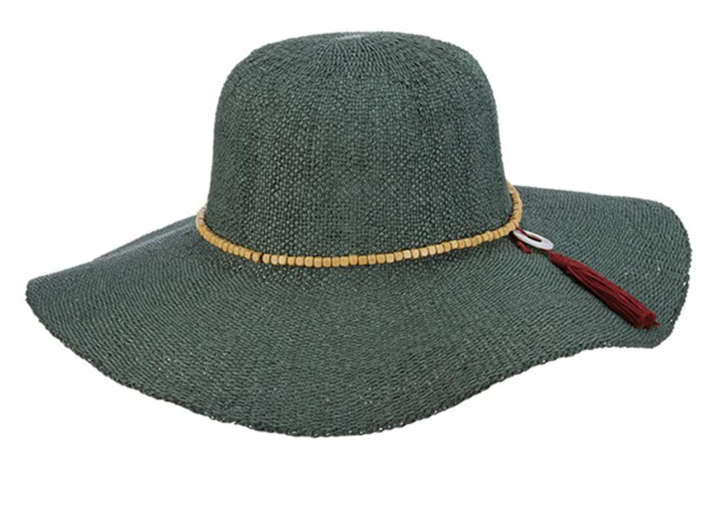 Crafted from carefully twisted toyo straw, Credo by Santana is a wide-brim summer hat featuring a 4-inch brim and leather band trim accented with jade stones. The striking brown color is just another reason this headpiece will catch more than a few looks on the beach. 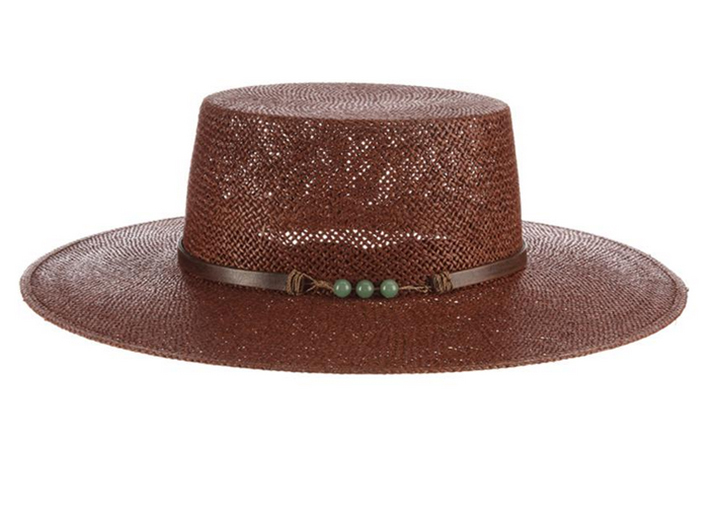 Putting a stylish spin on the traditional wide-brim hat, Paula by Callanan makes its mark with a rolled 4-inch brim that not only blocks the sun's rays, but also strikes a chic style statement. Constructed of hand-crocheted raffia, this round-crown topper is trimmed with a chiffon scarf that comes in black, bronze (shown), coral, or gold. The quintessential beach hat style, the floppy hat is the furthest thing from a flop when it comes to fun in the sun. With a wide brim and laid-back silhouette, floppies are a must for summer. These are just a few of our favorites, so be sure to peruse our larger selection of womens floppy hats. Your new summer hat crush has arrived. Camden by Scala is the kind of crushable straw floppy that looks good on every face shape. 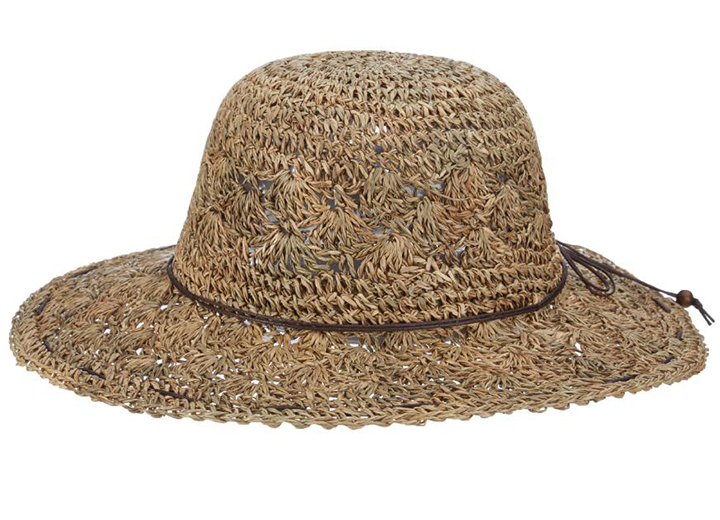 Foldable and lightweight, this hand-crocheted raffia hat offers a 4-inch brim for maximum sun protection. The slim metallic band adds just a touch of glitz and the inner drawstring sweatband ensures a comfortable fit. A floppy brim, round crown, and packable toyo straw — what more could you ask for? Nottingham by Scala is primed to be your go-to hat whether you're planning a day at the beach or just enjoying some fun outdoor activities. The wood bead and tassel trim gives it just enough flourish, while the 4-inch brim will shield your face from those pesky UV rays. You can get it in a light natural color, but we can't resist teal, which gives an unexpected twist on the typical beach hat color palette. Proving that floppy is not sloppy, Isle from Scala Collezione is made from beautifully hand-crocheted seagrass that creates an intricate pattern that seamlessly flows from the round crown to the 3 3/4-brim. Trimmed with a simple leather lace, this floppy wide-brim hat is also crushable, so you can grab and go without a second thought. From playful patterns and prints to eye-catching details, embellished beach hats are perfect for the woman who likes to make a statement by the seashore. Yes, dahling. You look marvelous. 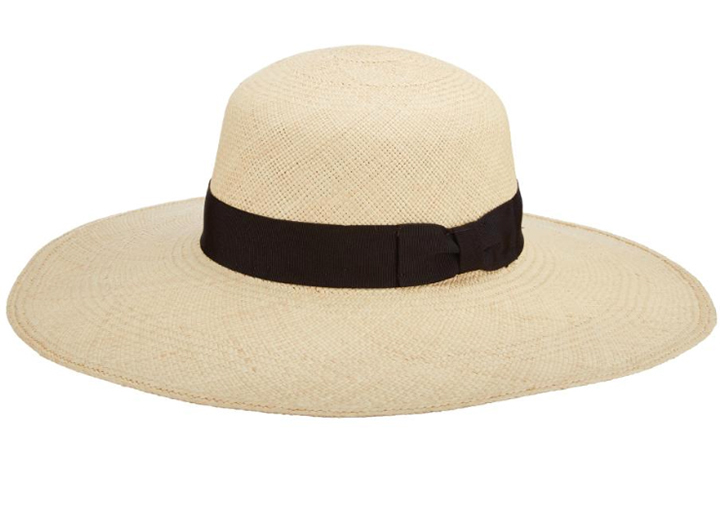 A sublime straw sun hat for those long days by the shore, Palm Beach by Brooklyn is a full-on affair with flair. 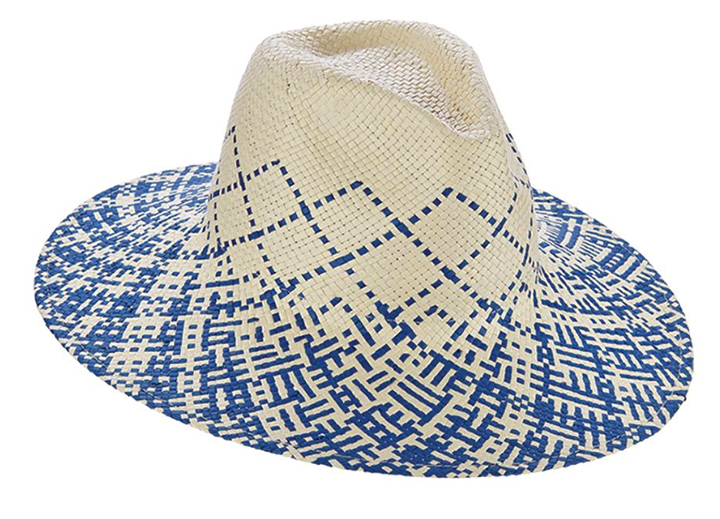 Made of braided raffia, this wide-brim beach hat dazzles with a 6-inch brim that will protect your face, neck, and shoulders, while the gorgeous tropical-print scarf band exudes Palm Beach panache wherever you go. You'll love this hat for so many reasons — the two-tone straw, 4-inch brim, and stylish safari crown are just a few. Perfect for the beach or a stroll under the sun, Raychel by Brooklyn is a stunner by any beach hat standard with its intricately hand-woven toyo straw and adjustable inner drawstring sweatband. Available in navy (shown) and brown. 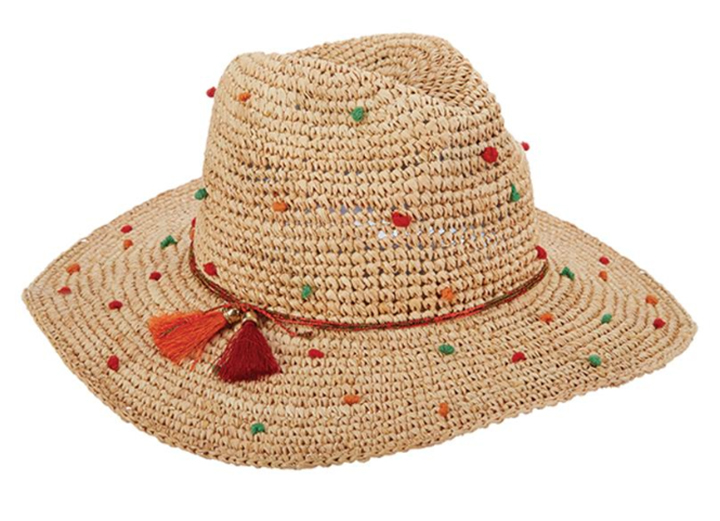 You don't need to be on the beaches of Croatia to appreciate the beauty of Dubrovnik, your new favorite wide-brim straw hat made from hand-crocheted raffia. The safari shape is a smart alternative to the more familiar round crown, and the beaded band — replete with embroidered knots and tassels — adds just the right amount of extra. 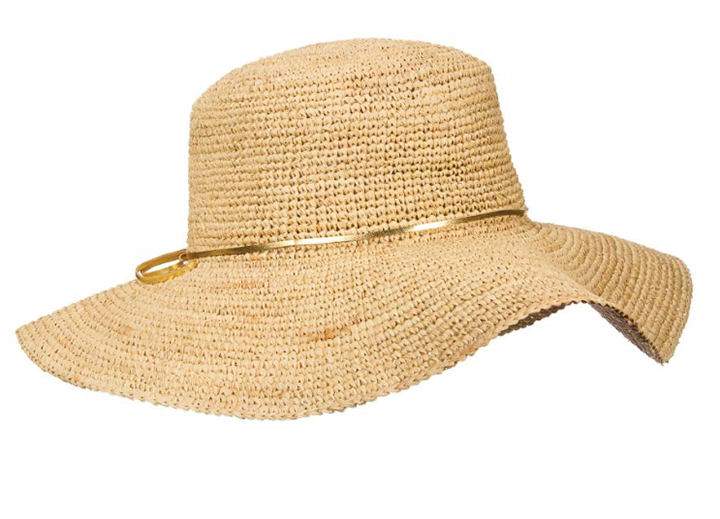 Although the brim might look a little short, this women's sun hat boasts a wide brim measuring 3 3/4-inches, making it a winner when it comes to sun protection. That old 1950s song might declare "there ain't no cure for the summertime blues," but we have to disagree. 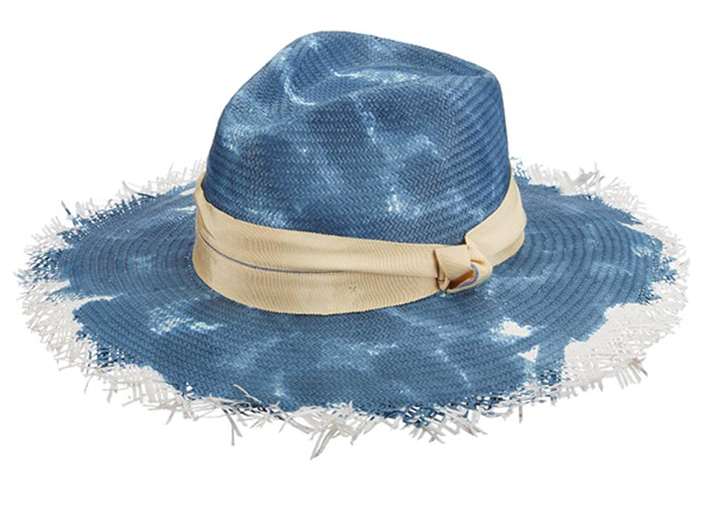 Fountainebleau by Brooklyn is a splashy sun straw hat that amps up the basic beach hat with a snazzy tie-dye twist. The fringe edging of the 4-inch brim and double grosgrain trim keep the party going, while the durable toyo straw ensures this hat is built to last. When the summer sun is out, having fun is a must, but it's also essential to protect yourself from harmful UV rays. The great news is that you don't have to spend hundreds of dollars (Eugenia Kim hats, we're talking about you) to find the perfect topper that will give you as much style as it does substance. Once you know what to look for, it's time to fulfill your wish list. For more beach-time inspiration, be sure to peruse our larger selection of womens beach hats and get shopping!